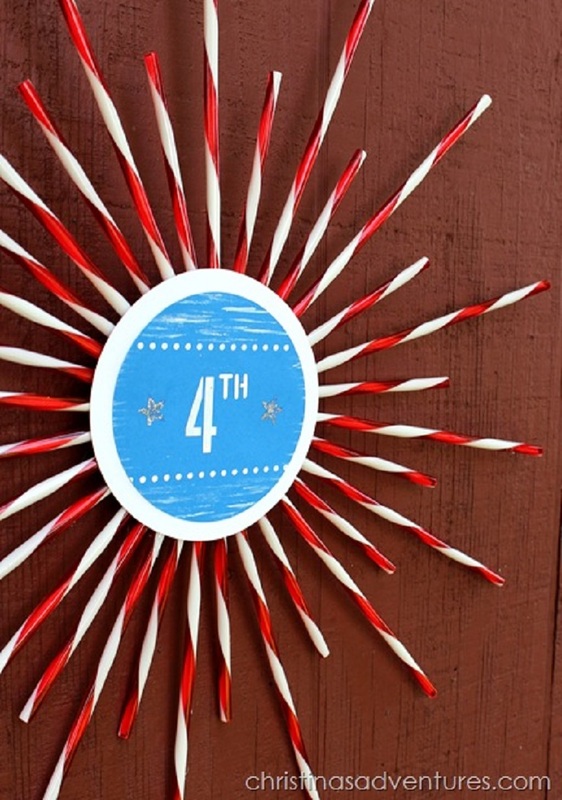 Start planning your 4th of July party early with these 10 DIY 4th of July decorations and party inspiration. 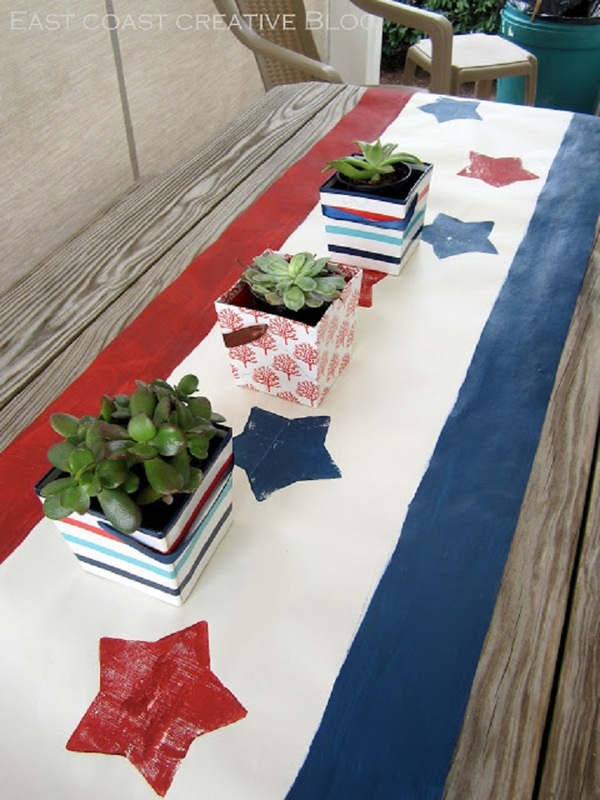 Decorate the table with a patriotic table runner, stars & stripes napkins, fill mason jars with individual place settings, make your star garland, rope wreath and decorate your wall with striped straws. 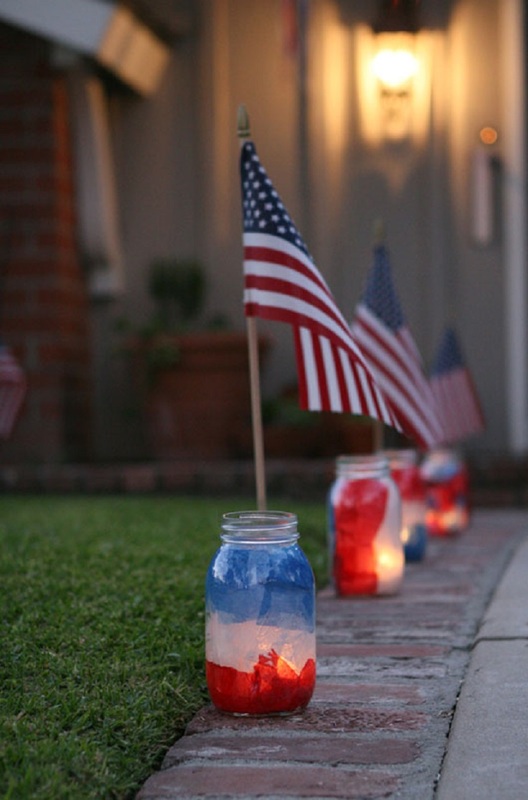 Decorate your home in the spirit of Independence Day with our red, white, and blue 4th of July decorations. 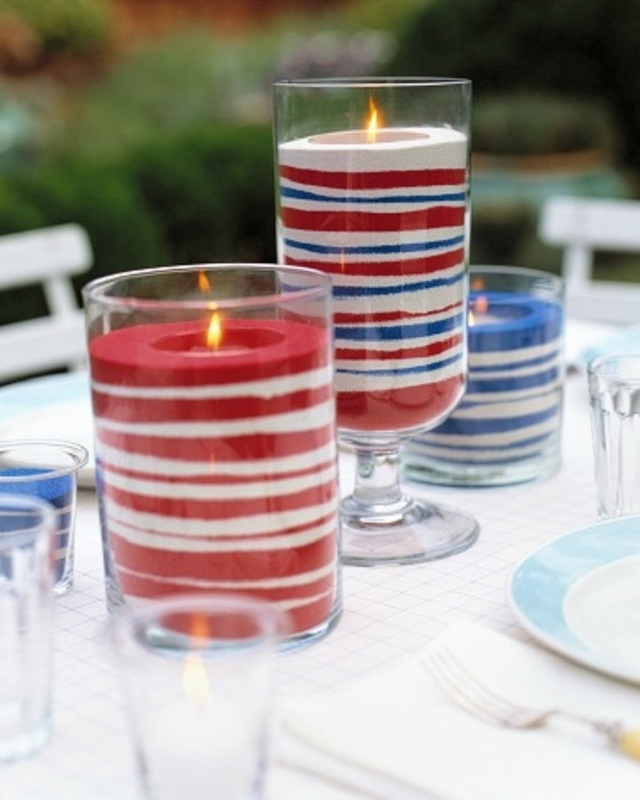 From flags to fireworks, candles, table runner, these easy decorations cover every July 4th theme you can think of. And they’re cute to boot. Make the celebration of the holiday be more fun for you and your family! We have made some awesome TOP 10 lists for 4th of July Desserts , BBQ recipes & cocktails , so make sure you check them out. The thing we’ve always loved about these patriotic ones is how simple and pretty they look when glowing on a Summer night at dusk. They match perfectly for celebrating 4th of July. The biggest time for those picnics is the 4th of July, which is coming up soon! 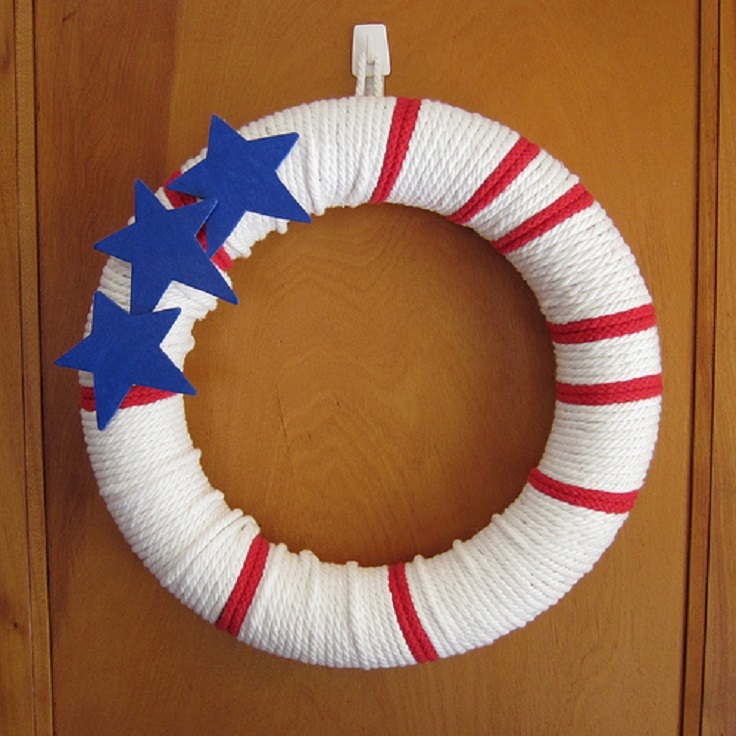 If you are a type of person that usually do not decorate for the 4th of July, try at least this so easy 4th of July craft for making some innovation in your home. We are loving it! It seriously gonna take you less than 30 minutes from start to finish, and it will cost you about $2. 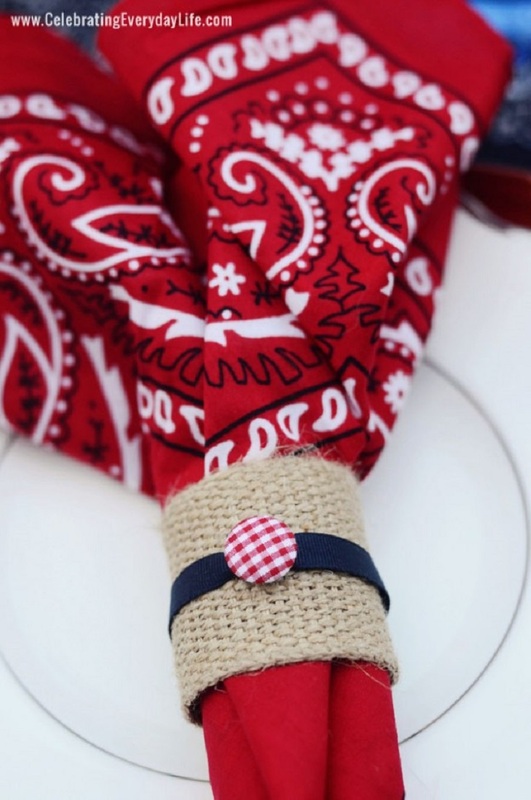 This is also another simple summer Fourth of July diy decoration with items you probably already have – bandanas! We love bandanas because they are inexpensive, durable (you can wash them again and again!) and can be used for several themes – from Barbecues to Birthdays to National Holidays – bandanas are up for the job! This wreath is super easy to make. It can be a little time consuming to wrap all the rope the way you want (especially if you glue every wrap down like I did at first), but you can easily finish one this afternoon and have it hanging before the festivities tomorrow. 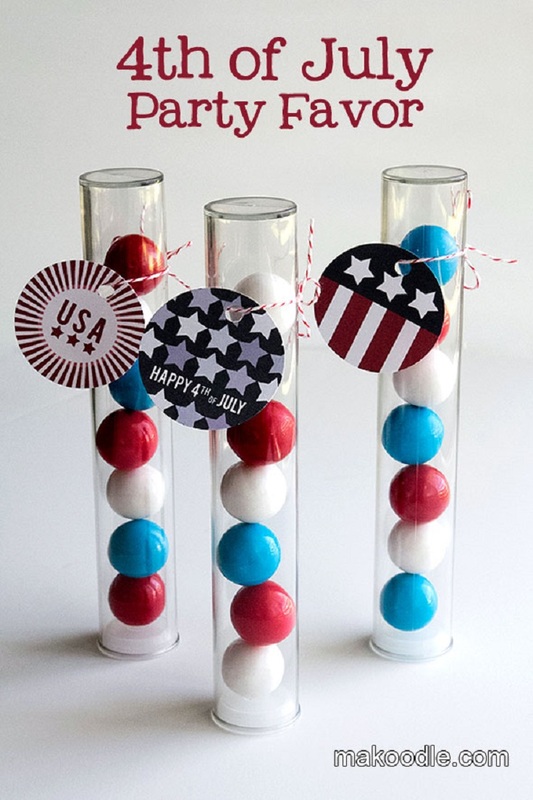 We’ve seen these gumball tubes used as birthday party favors and thought it would be fun to make a patriotic party favors for America’s birthday. After all, how can we throw a birthday party without a cute party favor? Fourth of July is right around the corner and it is one of our favourite holidays! This year, we decided to try the hand at star garland lights. 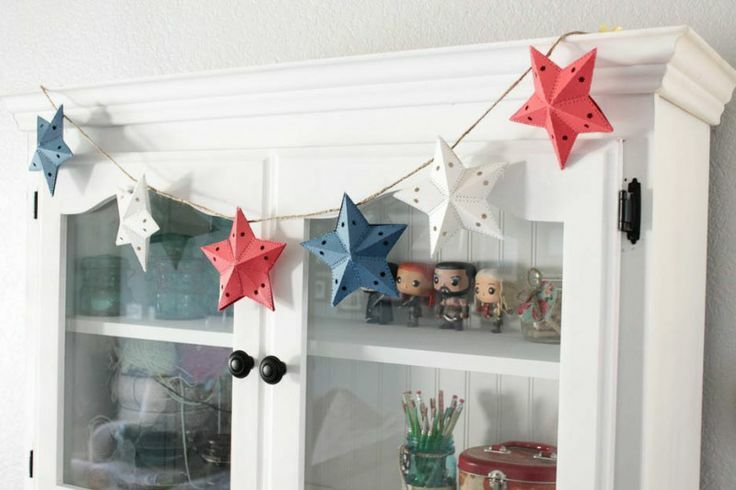 The star garland is pretty easy to make on your own and take less than an hour. In less than 15 minutes, you can make a completely custom table runner for any occasion- the possibilities are endless with this thing! Plus, a paper runner is perfect for something like a kid’s birthday party or an outdoor BBQ and of course for celebrating July 4th, because it adds some colour to your table, but can be thrown out if it gets messy. 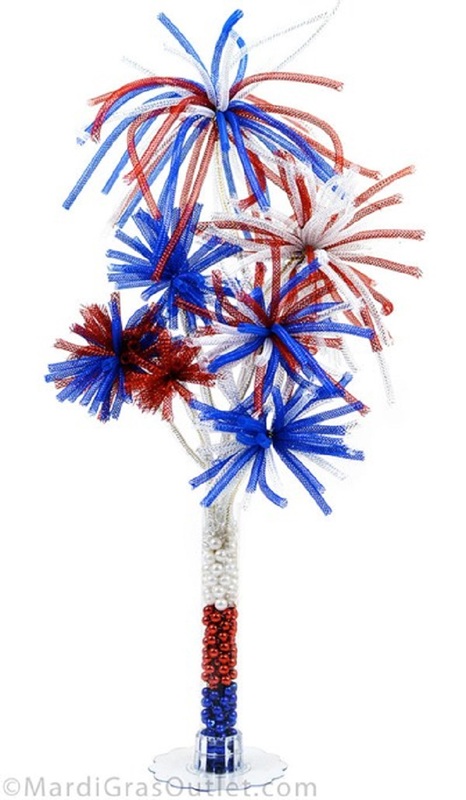 This red, white and blue table decoration is an easy and safe way to add fireworks to an outdoor party or barbecue. This centerpiece takes less than 1 hour to make. These products cost aproximately $30 with product left over to make additional centerpieces or decorations. July 4th is the gateway to summer. Pools, BBQs and sunshine, here we come! 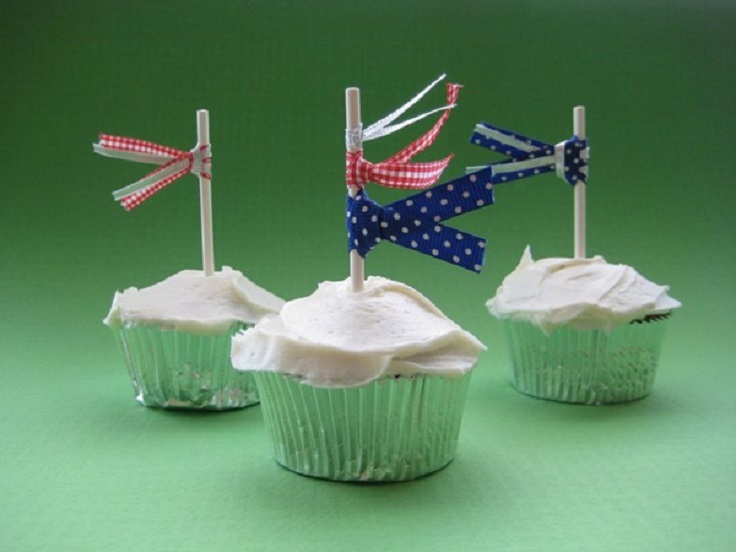 These easy-to-craft flags will surely add a more fun to your Independence day celebration. You are welcome! Definitely in the TOP 10!